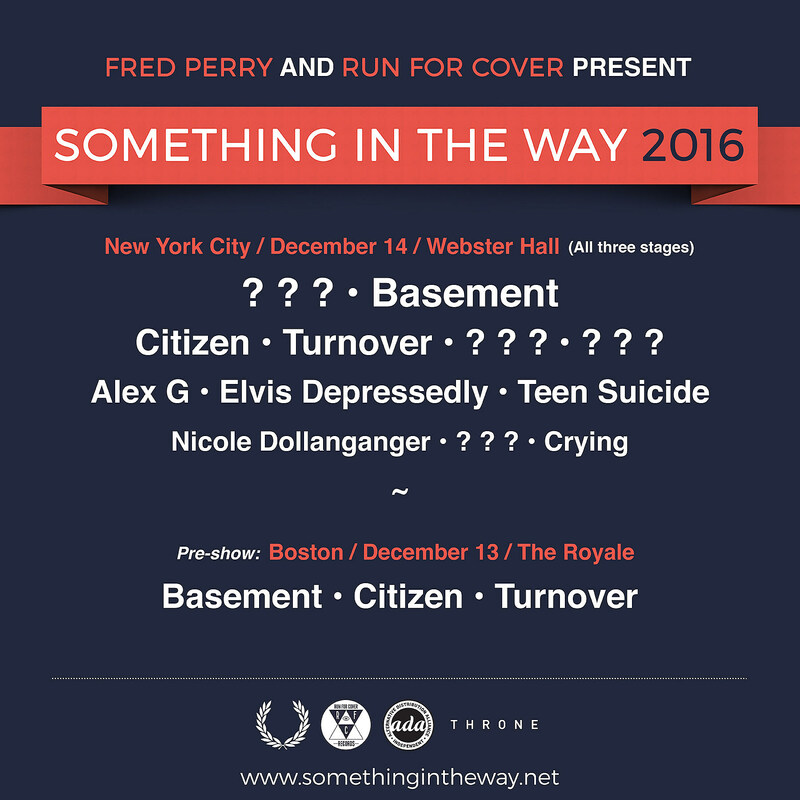 Ever-rising indie rock label Run For Cover is teaming up with Fred Perry for a one-day mini festival in all three rooms of NYC’s Webster Hall on December 14. It’s called Something In The Way, and the lineup includes Basement, Citizen, Turnover, Alex G, Elvis Depressedly, Teen Suicide, Nicole Dollanganger, Crying and four more TBA. Tickets go on sale Friday (9/30) at noon. There’s also a pre-show at Boston’s Royale the day beforehand (12/13) with Basement, Citizen, and Turnover. Something In The Way happens four days before likeminded fest Champagne Jam takes over all three rooms of Webster Hall with The Front Bottoms, Screaming Females, Diet Cig, Jank, and more.